Sare Karo Dab Lyrics by Raftaar, Sonu Kakkar and Muhfaad is latest song from the album Zero To Infinity. Its music is composed by Raftaar & Muhfaad while lyrics are written by Raftaar himself. 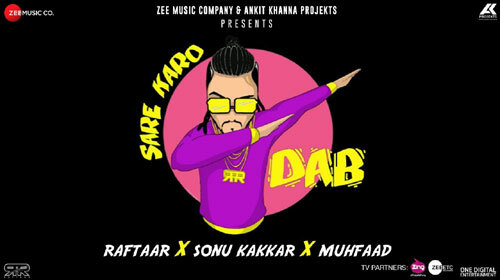 If you find any mistake in lyrics of SARE KARO DAB LYRICS – Raftaar | Sonu Kakkar song please let us know in comments.